For Sale: 689 acres of CRP land in Marshall Co. near Strandquist. There are 2 tracts remaining. 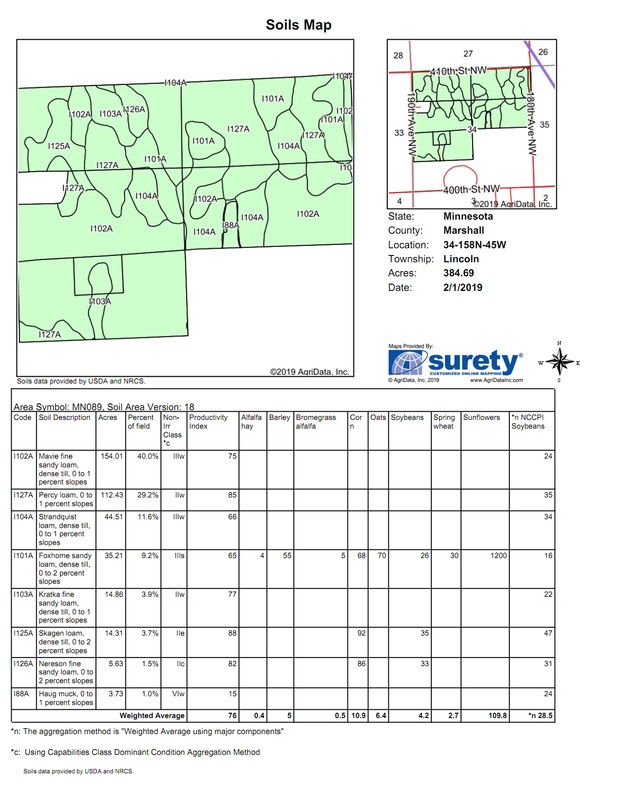 Tract 1: 382.5 acres in Sec. 34 T.158 R.45 Lincoln Twp. CRP contract: 371 acres @$58.85/acre. Expires in 2020. RE tax 2018: $2,084. 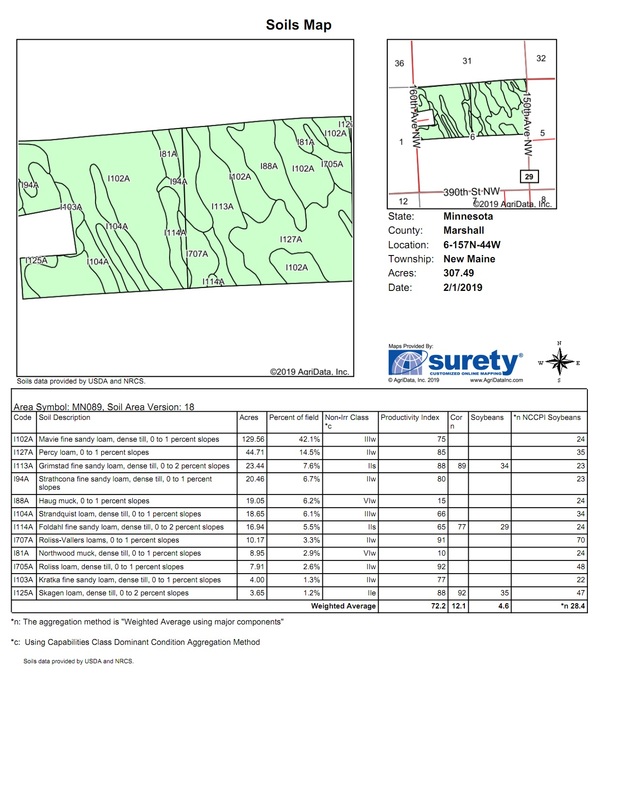 Tract 2: 305.89 acres in Sec. 6 T.157 R.44 New Maine Twp. 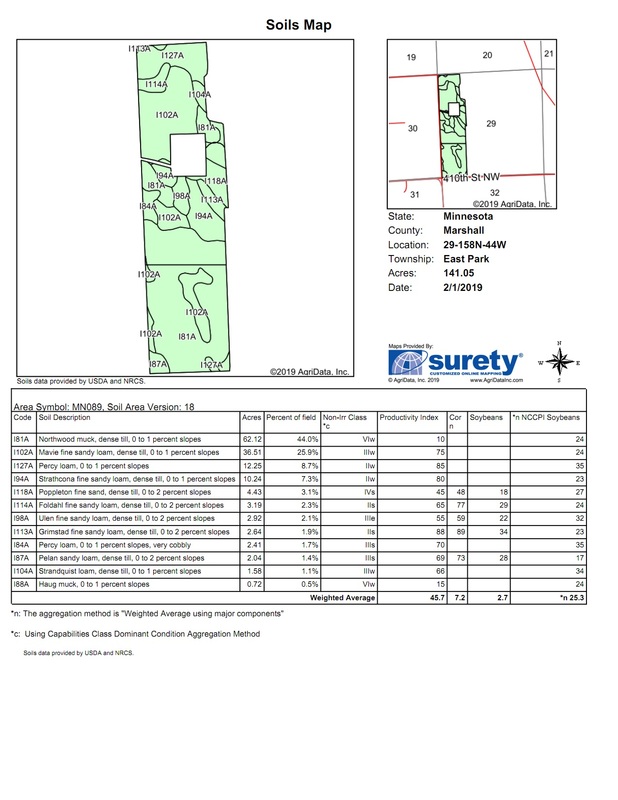 CRP contract: 307.49 acres @ $57.59/acre. Expires 2020. RE tax 2018: $1,830. 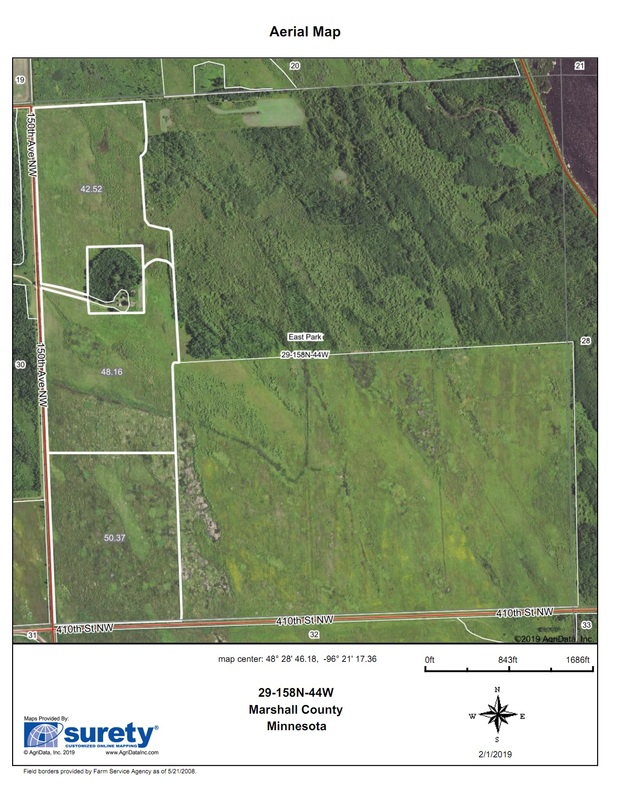 This is a great opportunity to own 689 acres at a reasonable price. $1,065/acre or $733,785 for the remaining two tracts. Sale Pending! 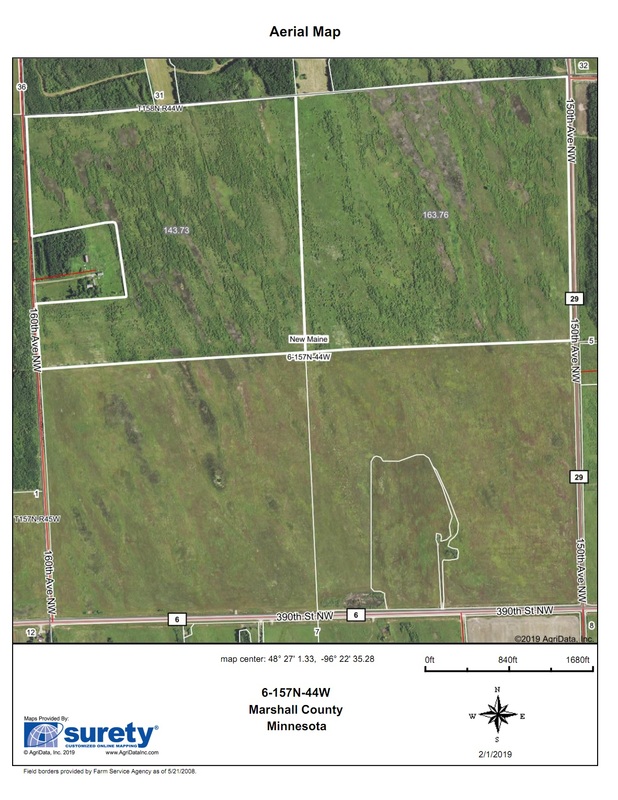 Tract 3: 152.05 acres in Sec.29 T.158 R.44 East Park Twp. 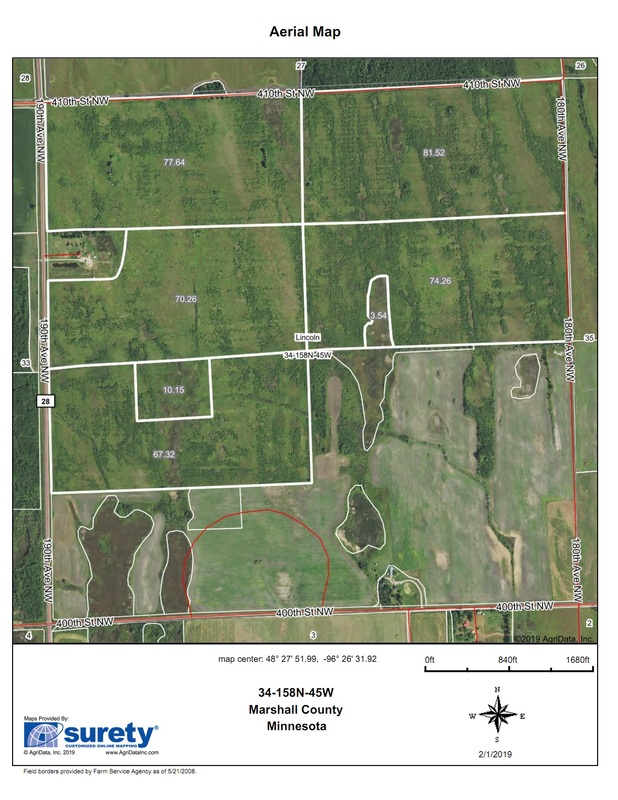 CRP contract: 141.06 acres @ $49.25/acre. Expires 2022. RE tax 2018: $796.